CI Destinations along with Los Osos/Baywood Park Chamber of Commerce will be offering a fully escorted tour of Spain & the Sunny Costa del Sol March 20, 2019. Spain’s Costa del Sol stretches along just over 90 miles of the Malaga province and is one of Spain’s most popular tourist destinations. The Costa del Sol is known for its beautiful landscapes, delicious food, all while experiencing the warmth of its people Here you will also discover a rich cultural heritage, fabulous beaches, coastal sites, and charming villages. On your tour you will travel to the nearby towns of Seville and Ronda to take in such sights as the Alcazar Palace and Plaza de Toros, the oldest bull ring in Spain. Your tour includes the #1 attraction in all of Spain, Granada and the Alhambra Palace. Visiting the Costa del Sol would not be complete without a tour to Gibraltar to view the infamous Rock of Gibraltar. $599 – Optional 2 night Madrid Extension – This tour includes transportation to Madrid, breakfast daily, Madrid city tour, and transportation to the airport. Sure to be a highlight will be the ancient buildings of the Barrio de la Moreria, the old Moorish quarter. General office work – Knowledge of Microsoft Office, Excel and communications are desirable. If you are interested in helping us out please contact Dawn Rodden, Executive Director at (805) 528-4884 or email us at info@lobpchamber.org. 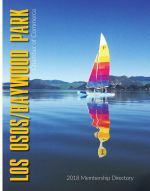 We have a fun team and would love to have you on the team that makes Los Osos/Baywood Park a great place to live, work and play!